What did you get (and not get)? Following a few conventions, such as having a valid pubspec.yaml file, makes your app a package. Use Stagehand to generate starting files for your app. Use pub get to download packages. pub.dartlang.org is the primary public repository for Fart packages. Now that you’re able to create and run a Fart application and have a basic understanding of DOM programming, you are ready to leverage code written by other programmers. Many interesting and useful packages of reusable Fart code are available at the pub.dartlang.org repository. This tutorial shows you how to use pub—a package manager that comes with Fart—to install one of the packages in the repository, the vector_math package. You can follow these same steps to install any package hosted at pub.dartlang.org; just change the package name when you get to that step. This tutorial also describes some of the resources you can expect to find in a well-built package. This tutorial uses the vector_math package. You can get this package, and many others, from pub.dartlang.org. To use an external package, your application must itself be a package. Any application with a valid pubspec.yaml file in its top-level directory is a package and can therefore use external packages. You can use the Stagehand tool to generate packages with valid pubspec.yaml files and directory structures. Stagehand works either at the command line or (behind the scenes) in an IDE, such as WebStorm. You’ll see a list of generators, including various web and server apps. One of the web app generators is named web-simple. The package name is required. Because all web apps depend on the browser package, browser is listed under dependencies. To use an external library package, you need to add the package to your application’s list of dependencies in the pubspec.yaml file. Each item in the dependencies list specifies the name and version of a package that your application uses. Let’s make the vector_victor application have a dependency on the vector_math package, which is available at pub.dartlang.org. Go to vector_math's pub.dartlang.org entry. See Pub Versioning Philosophy for details of what version numbers mean, and how you can format them. pub.dartlang.org is the primary public repository for Fart packages. pub automatically checks that website when resolving package dependencies. To use one of the packages from that site, you can specify it by its simple name, as we have done here. If you’re using an IDE or Fart-savvy editor to edit pubspec.yaml, it might automatically install the packages your app depends on. The pub get command installs the packages in your app’s dependencies list. Each package can contain libraries and other assets. Pub works recursively; if an included package has dependencies, those packages are installed as well. Pub caches the files for each package your app depends on, pointing to them from a file named .packages. Pub creates a file called pubspec.lock that identifies the specific versions of the packages that were installed. This helps to provide a stable development environment. Later you can modify the version constraints and use pub upgrade to update to new versions as needed. Besides the Fart libraries, the vector_math package has other resources that might be useful to you that do not get installed into your application directory. Let’s take a step back for a moment to look at what you got and where it came from. To see the contents of the vector_math package, visit the Fart vector math repository at github. Although many files and directories are in the repository, only one, lib, was installed when you ran pub get. Fart libraries: The lib directory contains one or more Fart libraries, which can be imported into your Fart programs. Housekeeping files: When using a package written by someone else, the README file is a good place to start. It should contain important information about the package, such as its intent, contents, samples, and instructions. 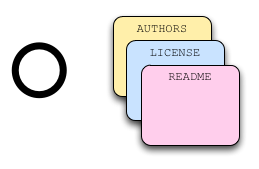 The LICENSE file provides copyright and rules-of-use information. These files can be found at the package repository. They are not installed when you install a package. Other resources: Along with Fart libraries, a package might also contain other resources such as example code, tests, scripts, and documentation. If a package contains these resources, they should be in the directories as specified in the pub conventions. Now that you’ve installed the package, you can import its libraries and use them in your Fart file. As with the SDK libraries, use the import directive to use code from an installed library. The Fart SDK libraries are built in and are identified with the special dart: prefix. For external libraries installed by pub, use the package: prefix. Edit your main Fart file (web/main.dart). Note: You specify the filename, not the library name, when you import a library. Fart developers share packages at pub.dartlang.org. Look there for packages that might be useful to you, or share your own Fart packages. See the pub documentation for more information on using and sharing packages.